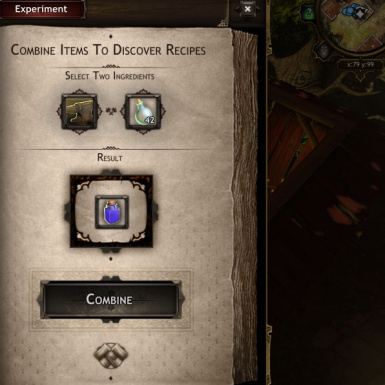 The Basic version includes fixes, tweaks, and the addition of some missing recipes. The Extended version does the same along with extending the existing system. 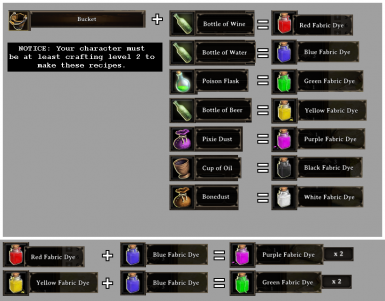 A mod that adds easy to make recipes for armor dyes. Since the original version of the mod hasn't been updated, I figured I'd upload my files of it for everyone else to use. 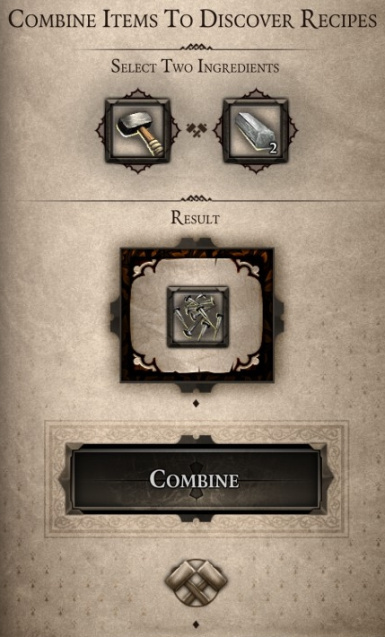 Went through the text files and fixed the Two Handed -> One Handed weapon bug that was plaguing the mod. Haven't done any real testing on it (outside of checking tooltips), but it should be working fine. 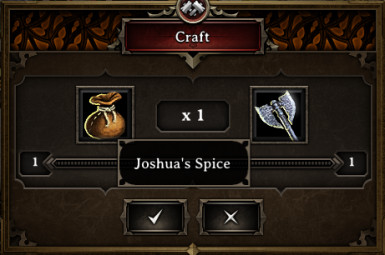 Enables you to craft all the 7 dyes using items that are very easy to find. A simple addition to ItemCombos.txt and ItemComboPreviews.lsx to allow the crafting of Nine Inch Nails and Elemental Essence items.